CloudCheckr is a vendor that provides a cloud management platform. The platform, which supports public cloud deployments in Amazon Web Services (AWS), Microsoft Azure and Google Cloud Platform, public cloud customers more visibility and control over cloud computing costs, performance and security. Cost management. The platform enables an enterprise to track its total spend across various cloud computing resources, such as virtual machine instances, and providers. Predictive analytics help users forecast future spend, and right-sizing reports and recommendations help identify and eliminate unnecessary cloud resources. The platform can also send alerts to ensure an organization meets any cloud governance requirements, and handles invoicing, billing and chargeback for multiple business departments. Security and compliance. CloudCheckr software proactively monitors users' activity on public cloud platforms, and enables administrators to implement Identity and Access Management (IAM) to control user access. To reduce potential risks, admins can receive alerts when any changes are made to cloud resource configurations. Enterprises can centrally manage user permissions and logs across AWS and Azure environments, as CloudCheckr integrates with cloud provider-native tools, such as AWS CloudTrail. CloudCheckr can also help enterprise meet major compliance requirements, such as PCI and HIPAA. Resource inventory and utilization. The platform centralizes data about an organization's cloud deployment, and provides dashboards, summaries and other types of reports to help an administrator track resource usage. 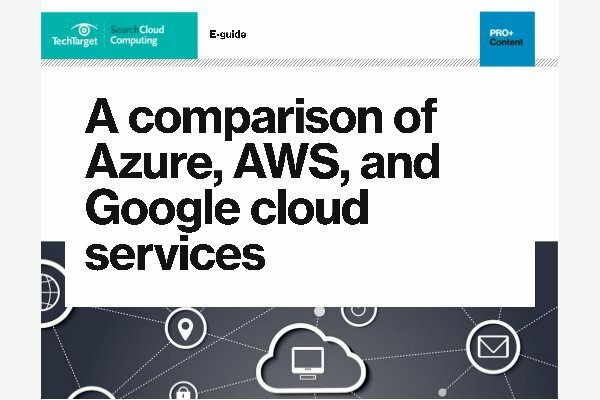 Enterprises can monitor, for instance, how much CPU, network, memory and other resources are being used by their AWS and Azure virtual machines. CloudCheckr Migrate. This tool is designed to help migrate a VMware environment onto the AWS public cloud. It evaluates an enterprise's VMware deployment, including vSphere storage and CPU resources, and then makes recommendations on how to most cost effectively host those resources on AWS. Reserved Instance (RI) Rebalancer. For AWS users, this cost management tool monitors Elastic Compute Cloud RI usage and provides recommendations for optimization. CloudCheckr Spot Management. This tool gives AWS users more control over Spot Instances with predictive analysis to get the most capacity at the lowest cost. It automatically scales instances during peak times to ensure consistent performance. CloudCheckr pricing depends on which plan an organization chooses. There is a free version, a Pro plan that starts at $75 per month, an Enterprise Plan that starts at 2% of an enterprise's AWS bill with a minimum of $899 per month, and the Managed Service Provider and Resellers plan that starts at $100 per month. The CloudCheckr pricing calculator estimates an enterprise's monthly costs and recommends which plan to choose. CloudCheckr was founded by Aaron Newman and Aaron Klein in 2011 and is headquartered in Rochester, NY. It is mainly used by cloud administrators and other IT professionals. CloudCheckr also integrates with some third-party tools, such as Allgress, Datadog, Skeddly, Spotinst and Turbot. Other vendors that offer multicloud management platforms include RightScale, Cloudability, CloudHealth, Cloudyn and Scalr. What features do you value most from a cloud management platform?